One of my favorite authors is M.R. James. If you’re a fan of ghost stories you probably enjoy his work already. Usually one of his stories is included in a ghost story anthology – and it’s usually Oh Whistle and I’ll Come to You My Lad. He changed the way that ghost stories were told. Montague Rhodes James, who used the publication name M.R. 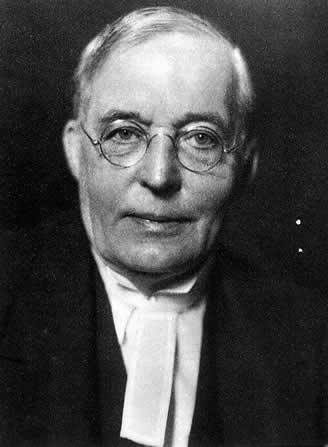 James, was a noted British mediaeval scholar & provost of King’s College, Cambridge (1905–18) & of Eton College (1918–36). He’s best remembered for his ghost stories which are widely regarded as among the finest in English literature. One of James’ most important achievements was to redefine the ghost story for the new century by dispensing with many of the formal Gothic trappings of his predecessors, replacing them with more realistic contemporary settings. Sadly, after all this time, I just recently found an excellent podcast that features his work. A Podcast to the Curious is hosted by Will Ross and Mike Taylor. In each episode the two talk about a different M.R. James story by providing commentary and discuss the theme of the story. The two are great to listen to. They are funny, but they take the topic, and M.R. James, very seriously. If you enjoy the work of M.R. James and like podcasts, this is an excellent one to subscribe to. I’ve been going back and listening to all the older episodes to catch up. As of today, late November 2015, they are still producing new shows. You can click here for information on A Podcast to the Curious. Make sure that you subscribe to the podcast and follow them on Facebook and Twitter while you’re on their website. One website that Will Ross and Mike Taylor from A Podcast to the Curious have mentioned on the show is thin-ghost.org. It’s another website on M.R. James. The sites author, Stephen Gray, has information on all of James’s stories, books, photos, TV adaptations and more. He even has a video of a short film that he made called, The Haunted Doll’s House. It’s a great source of information for all M.R. James fans. This is time sensitive. BBC Radio is streaming the M.R. James story Oh Whistle and I’ll Come to You My Lad on their website. This story is considered to be the best one by James. If time runs out and you miss the streaming of this version of the story by BBC Radio, you can find it in the A Podcast to the Curious archive. Click here to visit the BBC Radio website and listen to Oh Whistle and I’ll Come to You My Lad. What are your favorite M.R. James stories? Do you have a favorite website to view his, or others stories? Share your comments below.